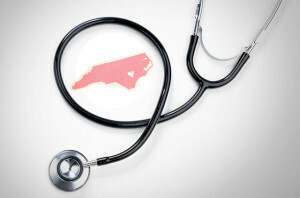 >> Governor McCrory has made Medicaid reform his rallying cry, but strategies to cut costs remain a point of contention. A recent proposal from a Medicaid advisory committee seems to find the balance between pinching pennies and providing quality health care for North Carolina’s lower-income families. Hallelujah! The proposal centers around a concept called Accountable Care Organizations (>>ACO’s). This system has been widely implemented as part of the Affordable Care Act, and has been used with great success to manage the Medicare program, health coverage for senior citizens. The ACO’s would build on the success of our state’s award-winning Community Care program, which already supports 80% of Medicaid recipients with nurseline support, home visits, and health education. Under an ACO, Medicaid recipients would have a network of physicians and specialists who managed their care in concert, consolidating doctor’s visits and tests. Patients aren’t the only ones who benefit from ACO’s. 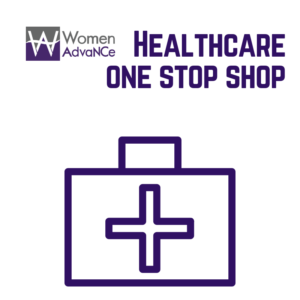 In addition to supporting the patient, they act as a cost-saving measure. The ACO helps minimize program costs, and in exchange the state allows it to keep some of the savings. If medical costs go over acceptable levels, the ACO must pay the difference. This will allow the state to better budget for Medicaid expenses while saving money overall. Although the ACO plan sounds promising, it>> has not received widespread support from state lawmakers. The only Senator on the Medicaid Advisory Committee, Sen. Louis Pate (R-Mount Olive) says the plan doesn’t go far enough to curb state spending on Medicaid. North Carolina residents receive about $12 billion in Medicaid benefits each year, $3.5 billion of which gets shouldered by state budgets. The federal government pays for the rest. Under the proposed ACO plan, costs would decrease by about>> 3% a year—a savings of hundreds of millions of dollars. Although those savings would be spread among the ACO, the federal government, and the state, it still could close the gap and cover what the Department of Health and Human Services says amounts to a>> $130 million shortfall in their annual operating budget. Keeping the program in the black would mean a huge sigh of relief for administrators and officials. But Senator Pate—and other naysayers of this reform—say they’d like to see Medicaid privatized. The Governor had suggested privatization in an earlier proposal, but was met with vociferous opposition from coalitions of doctors, nurses, and appointees within McCrory’s own cabinet. Privatizing Medicaid would create a for-profit entity, and many worry patient care would take a backseat in favor of high profits. The General Assembly will hear the ACO proposal during the budget session this summer. Many leaders within the House and Senate have indicated they would like to see major changes to this plan before they consider passing it into law. The ACO proposition also rewards frugal medical spending, but without the big business accounting crunch. Doctors and other medical practitioners would be free to treat their patients as they see fit, but medical groups would be rewarded for decreasing spending overall and minimizing duplicated care. Patients would benefit from having doctors who work together and who have shared access to their medical records and histories. >>Mental health care is the major exception to the progress expected with the implementation of an ACO plan. Currently, NC Medicaid patients who need mental health services get referred to 1 of 10 outside agencies who handle their needs. Under the new plan, this program stays in place, but with only four agencies handling mental health care. This means a patient diagnosed by her general practitioner with a mental illness would need to navigate a different system to get both therapy and psychoactive drugs—a process that can be onerous and off-putting. Others worry that consolidating health care practices could cause semi-medical-monopolies in some areas, giving patients less options and leading to higher costs due to lack of competition. Leaders in the health care policy field acknowledge this as a potential drawback, but say it’s a problem that exists in medical practices now, even without ACO oversight. Medicaid is a>> tremendously successful program in North Carolina. Last year, more than half of babies born in state hospitals had their births covered by this program. 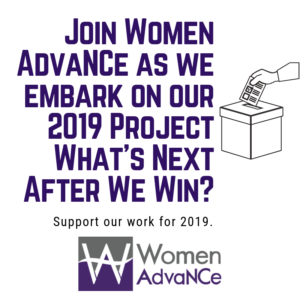 Women make up 60% of program participants, and hundreds of thousands of children every year get checkups, vaccinations, and emergency visits because of Medicaid or one of its subsidiaries. In fact, Medicaid could reach even further. With the Affordable Care Act, the federal government offered to fund Medicaid expansion in all 50 states.>> North Carolina turned down this money, claiming it couldn’t afford the extra expense. But according to The Kaiser Family Foundation, 28% of all uninsured North Carolinians would get coverage under the expansion, which would cause a 0.3% increase in state Medicaid spending through the year 2022. Although McCrory has been urged many times to accept this expansion, he has not yet made moves to do so. Increasing coverage to so many North Carolinians at such a low cost would decrease per capita spending overall. With such a strong focus on decreasing Medicaid costs, expanding Medicaid seems like a no-brainer. Medicaid needs to cover men.